MixedWood LLC is a service and consulting firm, that specializes in helping companies understand, communicate, and manage the environmental profiles of their paper and wood-based products and commodities. We provide expert services in ‘green certification’; spanning the full diversity of paper and wood product supply chains from the trees in a responsibly managed forest all the way to everyday consumer products like paper, furniture, and packaging. Headquartered in the village of Rangeley, in the scenic mountains of western Maine, MixedWood serves a growing clientele of companies who produce, manufacture, consume, and distribute wood and paper-based products around the world. Taking full advantage of the electronic ‘new economy’ we provide responsive, personal service and guaranteed follow-up. 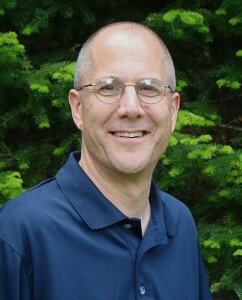 Dan Simonds, MixedWood’s founder, owner, and principal, is a Certified Forester ® with broad experience in the land management, paper, and wood product industries. After 22 years of practical experience in industrial land management, he was fortunate to become involved with early implementation of the SFI certification program during its inception in the mid-1990′s. He was later responsible for the design and development of the North American service portfolio of a major international certification firm. Dan is qualified as a Lead Auditor for a number of third-party certification standards, including Chain of Custody and Forest Management for the FSC, SFI, and PEFC programs, as well as the ISO 14001 Environmental Management System standard. He is a noted expert in the intricate and rapidly-evolving protocols associated with FSC, SFI, and PEFC certification, including SFI Certified Sourcing, FSC Controlled Wood, and Legal Due Diligence. MixedWood was deeply involved in the rapid growth in forest product certification services: supporting sales programs; providing technical services to certifiers; training auditors; designing and implementing systems; and consulting on policy. As a result, we are deeply connected and well-regarded in the community of experts and practitioners in the field. Our role as consultants and service-providers requires that we stay up-to-date and involved – a challenging task which we take very seriously. Our job is to stay connected so our clients don’t have to. MixedWood is designed and operates as a small and focused service-provider. Our small size ensures flexibility and responsiveness, but could limit our capacity to engage in larger business opportunities. We have addressed this through extending business-to-business partnership agreements with other similar, small firms. This allows us to remain small and nimble but still have the capacity to serve client needs at any scale. MixedWood is proud to have a clientele of remarkable diversity and quality. Our clients range in size from Fortune 500 consumer products firms to small, family-owned companies with a few dozen employees. Our business spans the full range of wood-based business sectors from log-producing land companies to specialized distributors of retail packaging. MixedWood is interested in working with paper and wood-products companies who are interested in taking responsibility for, and calling attention to, the environmental values of their business and their products. Green certification programs – of every flavor – are a great vehicle for this, and we have made them our speciality. We are not interested in political discussions about whose program is ‘the best’. Instead, we prefer to focus on finding the best solution for each of our clients and then working with them to help realize that solution. We like to find clients that have an environmental story to tell, and take pride in helping them to tell it.